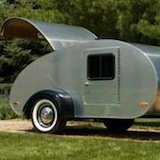 A Boler trailer is great for light weight RV camping. 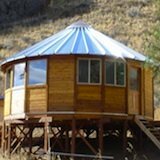 These travel trailers are efficient for pulling and built to last a long time. The Canadian Boler ultralight fiberglass RV sold thousands of units in the U.S. and Canada from 1968 through 1988. These trailers are pretty compact but still have a kitchen, small table, counter/cabinet space, and two sofa-beds that can sleep four. 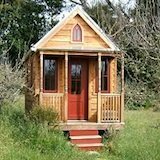 It has fresh water holding tanks and a port-a-potty toilet. Many also have awnings. These RVs are no longer in production (since 1988) but you can still find some for sale as there are plenty that are still around today. I always recommend checking eBay Motors and use Boler as a search term. Costs depend on the condition but they seem to range between $1,500 to $8,000. 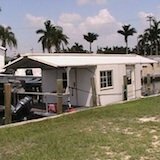 To learn more about the Boler trailer and other fiberglass RVs, I recommend you visit the FiberglassRV.com forums.